Since I have gone back to work, time is becoming more precious. On a working day, I can hardly find time to make any special food for dinner. Our week night dinner is filled with quick stir-fry, pasta, and weekend leftover. Although quick and simple food are delicious too, sometimes you just want a little more spice in your daily life. So, I made this make-ahead chicken tikka masala last week. Just because it is Indian food (more accurately, Indian style food, since chicken tikka masala is supposed to be a British creation) does not mean that it is complicated although it does require more than a few ingredients, that is what makes cooking fun! To make it quick to cook on weeknight, I made the sauce ahead on weekend. To prepare it for dinner on weeknight, all I had to do was to marinate the chicken with the spice rub for 45 mins while I was doing other chores in the house. Then put the chicken in the oven, reheat the sauce and assemble this delicious saucy dish in no time. Marinate the chicken: Mix cumin, coriander, cayenne and salt in a small bowl. Rub mixture on both sides of chicken. Refrigerate chicken for 30 to 60 mins or longer. Make yogurt coating: Mix yogurt, oil, garlic and ginger, set aside. Make the sauce: Heat oil in large saucepan or Dutch oven over medium heat. Add onion, stir occasionally and cook until light golden, 6 to 8 mins. Add garlic, ginger, chile tomato paste and garam masala to the onion, stir frequently, until fragrant, for about 3 mins. Add crushed tomatoes, sugar and salt, bring to boil. Reduce heat to medium-low, cover and simmer for 15mins, stirring occasionally. Stir in cream and return to simmer. Remove pan from heat and cover to keep warm. Broil the chicken: While sauce simmers, adjust over rack to upper middle position (about 6" from heating element) and heat broiler. Put a wire rack on a foil-lined baking sheet. Dip chicken into yogurt mixture and coat chicken with a thick layer of yogurt. Put chicken on the wire rack. Broil chicken for 10 to 18mins (mine is done around 15 mins). Flip chicken half way through cooking time. Chicken is done when it reaches about 160F and is slightly charred. Let chicken rest for 5 mins. Cut it into chunks and stir into warm sauce. Stir in cilantro, adjust seasoning with salt, and serve with basmati rice or naan. I made the full recipe of sauce but used much less chicken (less than 1 1/2 lbs) because N loved the sauce. 5% plain yogurt instead of full-fat was what I used and the dish turned out fine. I used a mix of crushed and pureed diced tomatoes in juice because the brand of crushed tomatoes that I used was very thick and I did not like really thick sauce. 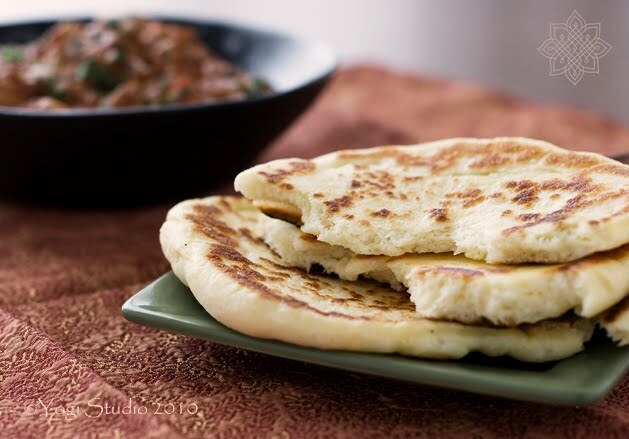 Usually I serve the chicken tikka masala or any Indian curry dish with store-bought naan bread but I was always curious about what was in the naan. So I tried making Madhur Jaffrey's naan this time. It was really easy to make. The most difficult part is the hand-kneading part but it was a good exercise. Different from the original recipe, I made it using a cast iron pan instead of the grill and oven. And it came out very well. Here is my adaptation of the recipe. Mix milk, sugar and yeast in a small bowl. Set asides for 15-20mins until mixture is foamy. Dust a little bit of flour on the work surface. Knead the ball of dough for 10 mins or more until it is smooth and satiny. Put a little oil in a large bowl. Put the ball of dough in the bowl and coat it with the oil. Cover the dough with saran wrap. Set it aside in a draught-free area for 1 hour or until the dough is double in size. Punch down the dough and knead it again for a few mins. Divide the dough into 6 equal balls. Work on one ball at a time and cover the rest with a damp towel. Roll the dough into a tear shaped naan. Heat a little bit of oil (1/2 to 1 tsp) in a cast iron pan over medium high heat until the pan is hot but not smoking. The pan has to be hot enough to have the naan puff up. Put the naan on the pan and fry each side until it is golden brown, about 2 to 4 mins in total for both sides. The lighting in your photos is awesome! Wow. This photo caught my eye on Foodgawker!! I love eating and make Chicken Tikka Masala and Naan. I will have to try out these recipes. Thanks for sharing your lovely, well-lit recipes!! The presentation is flawless. This looks delicious! Way better than any Indian food I've had recently. I will definitely have to try to make this! whisk-kid - Thank you. I tried different setup this time and put the food in angle to the light source. I'm glad that you like it. Memoria, Joanne, Trendseters - Thank you for dropping by. Please do try the recipe. It is easy to make and delicious! Mmmm, I have never made my own naan but this looks pretty easy. I have bookmarked this to give it a try! Zested - Try it out and let me know how you like it. Peach Rainbow - Good! Start making the chicken and naan then. Sarah@Mum In Bloom & GrassNaps - Thank you. I'm glad that you like the pictures. Try out the recipe and let me know if you like it. Well, what luck! Just stumbled here from Honey and Jam, and I couldn't be more tickled. Your space is just lovely, and to top that, I've been searching for a great naan recipe. Bingo! Congrats for your blog. It's gorgeous, fantastic ! Long life to Jasmine Tea ! Gorgeous food and beautiful shots! One of my most favorite meals too! Glad to have found your site! molly - I hope you like the naan! lisa - Thanks for your compliment! looks so yum! you've inspired me to also try and make naan at home! 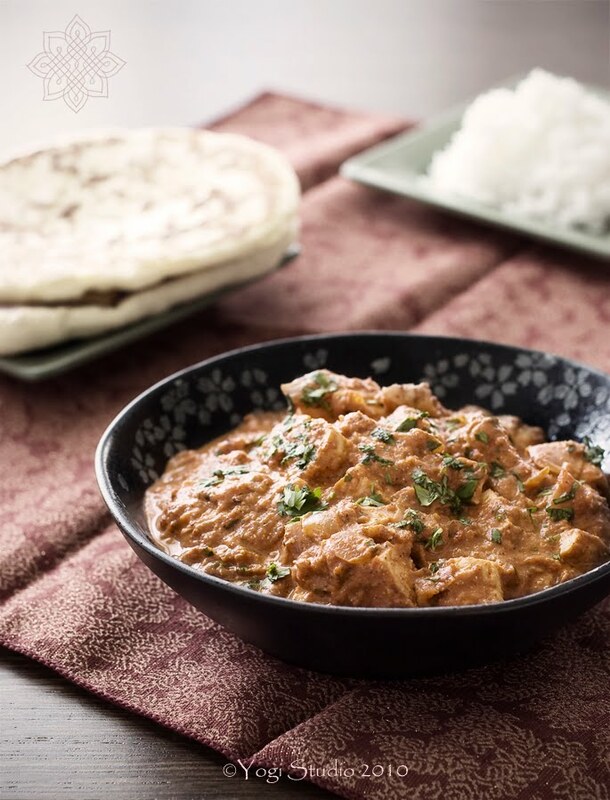 That chicken tikka masala looks good and its hard to beat fresh homemade naan! lolacooks - Good...I have very good result in first attempt. I hope you do too! Wow, this looks absolutely amazing! 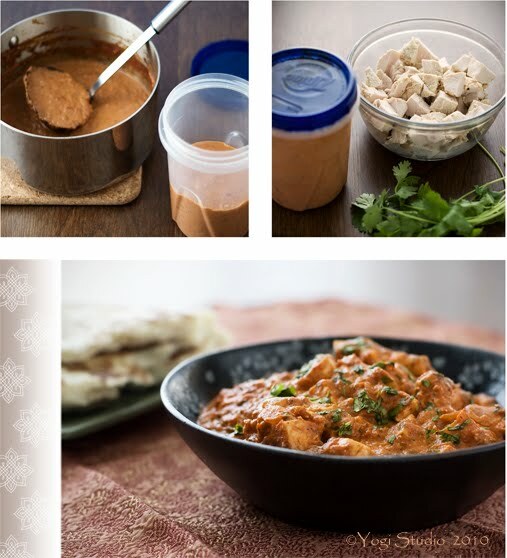 I recently started to LOVE Indian food and this looks easy enough for me to make! Michelle - I don't recall that the dough is especially heavy and tough. But may be a bit denser than pizza dough. bud - That's what I love to hear! Thanks for letting me know that you and your siblings enjoyed the dish! Lara - When I was 14, I knew nothing about cooking. I only ate whatever my mom cooked for me. Good that you started so young and i wish u have lots of fun with cooking! Let me know how the dish turned out and if you and your sister liked it. Lara - Good to hear that the dish is well received. And I can tell that you're a great cook and a sweet girl, cooking for everybody! !